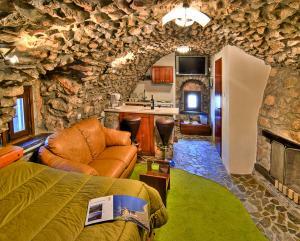 Very nice stone houses, the rooms are very comfortable, the staff is very concerned. They made us happy with refreshments. The village is strategically located in the middle of the island. The owners are very helpful. The town is a small, silent and beautiful ancient village. Most of the houses are restorated as a hotel room .The sunset from the restaurant of the town is excellent. There are 2 restaurants in the town but no markets at all. If you do not mind to drive through the mountains and prefer to stay in a silent calm ancient village ,it is a good choice. Tho host family is so nice and friendly We loved the view and the very good Cappuccino in the morning! The village is beautiful and we highly recommend taverna pyrgos. Sitting at the platia in the evening, eat the homemade food and enjoy the atmosphare was one of the highlights of our 4-Weeks Trip through greece. Wanna come back to chios in spring and discover the island by bike!!! 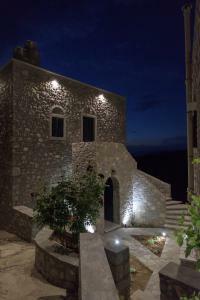 Very well designed and equipped apartments with great sunset view in a lovely small medieval village. Owners are very kind and helpful. 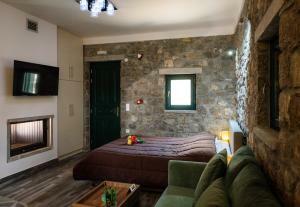 To feel the traditional Chios and spend your time in a quite and peaceful atmosphere we highly recommend this place. My apartment was in a small building built in traditional village style and extremely well-equipped - right down to having a modern electric kettle - the first I have ever seen in a Greek apartment. Room service was provided every day and the bed linen and towels changed twice a week. The bed was very comfortable. The air conditioning was brand new and worked very well. The management and staff were extremely attentive to our needs and were always on hand to iron out any minor problems. This hotel belongs to family.Fistly,dear Augustis thank you for your friendly and kindly personality.I extremely advice this hotel. Lock in a great price for Avgonima All Seasons Hotel – rated 9.5 by recent guests! Avgonima All Seasons enjoys a unique location in one of Chios’ most picturesque medieval villages. 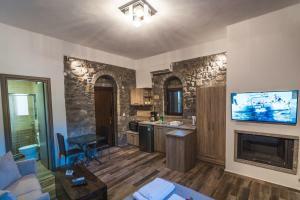 It offers a café with scenic views, and traditional apartments with fireplaces and furnished courtyards. 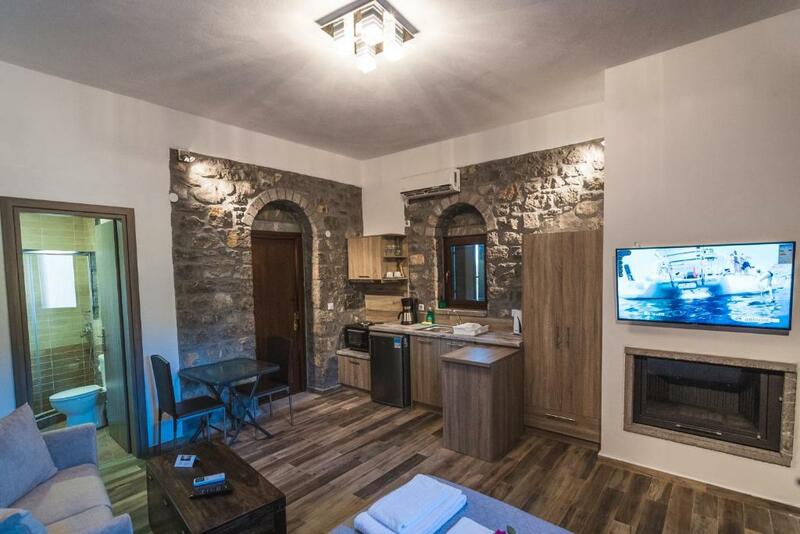 Avgonima apartments have fully equipped kitchens or kitchenettes and comfortable seating areas, and each comes equipped with 32-inch LCD TV, DVD player with free films and autonomous air conditioning/heating. They all enjoy views over the surrounding mountains across to the sea and the island of Psara. For relaxation, Avgonima All Seasons offers a café with outdoor terrace. Light meals and snacks are served on the terrace daily, while the bar is open for refreshments. 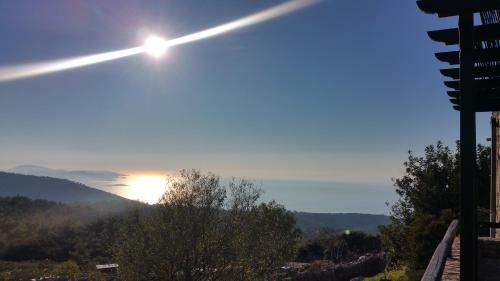 The All Seasons Avgonima is 11 mi from the Main Town of Chios and 12 mi from the airport. Elinta beach and Giali beach are 5.6 mi away. Guests will find a paintball field right next to the hotel. 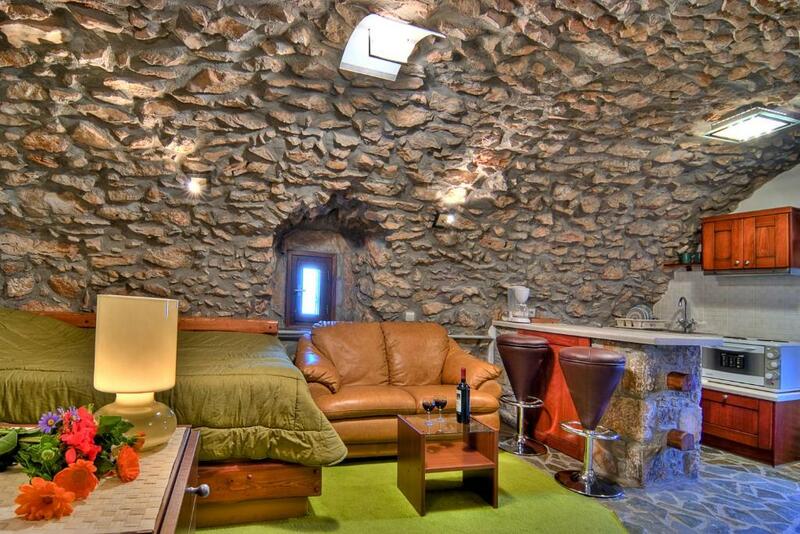 This property is also rated for the best value in Avgonyma! Guests are getting more for their money when compared to other properties in this city. When would you like to stay at Avgonima All Seasons Hotel? Open-plan apartment with sitting area, fully equipped kitchen and private courtyard with lounge chairs. 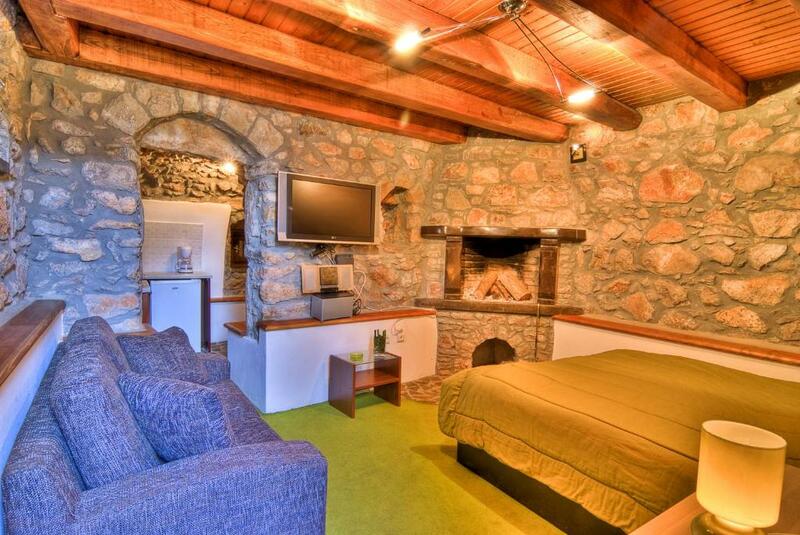 Apartment with living room and kitchen area, and a bedroom with fireplace. Overlooking the Aegean Sea and the mountains, this air-conditioned apartment opens out to a balcony. 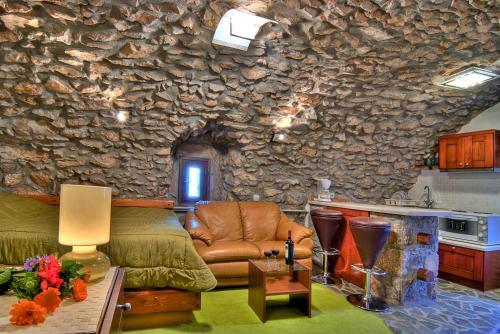 It has an LCD 32'' TV with selection of DVDs, a well-equipped kitchen and a fireplace. The private bathroom has free toiletries and slippers. -kitchen with fridge and coffee machine. -bathroom with free toiletries and slippers. House Rules Avgonima All Seasons Hotel takes special requests – add in the next step! Avgonima All Seasons Hotel accepts these cards and reserves the right to temporarily hold an amount prior to arrival. Quiet location. Staff is very friendly. The nearest town Lithi is 13km which is 20min . You have to climb the mountain to reach the residence.There is Wi fi only in the reception area which is a few blocks away from our room. The room has 2 small windows , there comes no daylight to the room and when you need fresh air you have to go out. In the morning when we prepare for breakfast in the garden, we can not sit because of the bees. I can't think of a single thing not to like. It doesn't get better than this. there is only one word to say. fantastic. Wi-Fi is not usable in rooms.Signal is only in reception and cafe. and there is nothing to do but the wind is too much. Small details related to lighting choices and lamp temperature color. 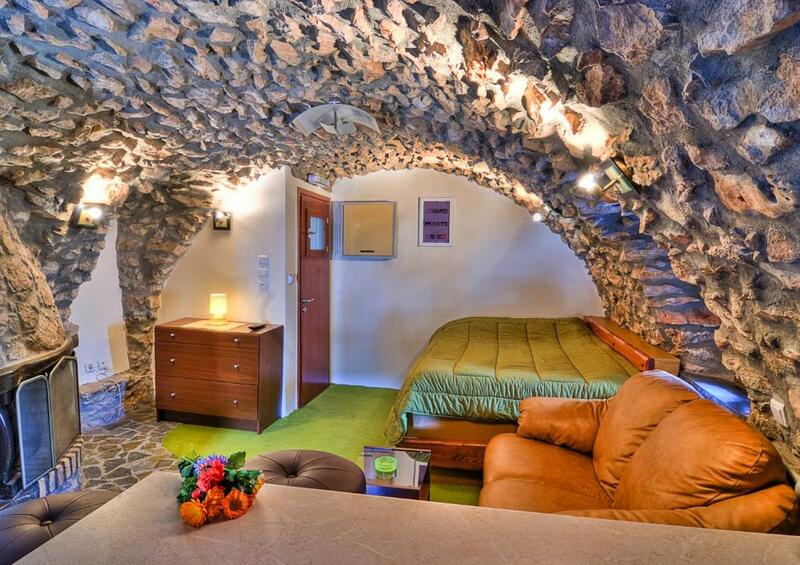 This could pass the room to another level if improved. Since the first-minute Pandelis and Avgoustis was extremely polite and helpful with us. The room we stayed was nice, new, and in the right size for 2 persons. The kitchenette was okay. The bathroom was big (and clean every day). The location is beautiful. The village is very small, like a doll, all houses are traditional. By choosing this option you have to make some more kilometers every day in order to reach the beach, but on the other hand, you can check the weather and select every day the right beach (depending on the wind direction!). Value for money: I had to pay the double price for similar rooms around Greece! The windows of the apartments are bit too small and too few so the apartments are a bit dark. The wifi also doen't work at all in the house. However, that's all normal if you choose to stay in traditional stony houses in villages. The apartments are very beautiful, cosy, clean and trafitional. They have all you need to feel welcome! They are well taken care by the owners and they have a personal touch and a sense of hospitality. The owners are also friendly and kind.